My Health and Business: How Can I Know My Credit Score? How Can I Know My Credit Score? People frequently ask about how to know their credit scores without having to sign up for a service. The truth is, there are a lot of ways. The real question is how do you know which one’s the best. Recently, people have been preferring the Fair Isaacs and Company or the FICO score. This software checks several credit sources and then solves for the score. There are three bureaus for credits, and they each have a unique scoring system. There are also those like Vantage Score. A certain mortgage company asks for the three scores while only using the middle score. Interestingly, one’s credit score only reflects a certain day. Meaning to say, credit scores change oftentimes. Also, knowing your score isn’t really essential, unless you decide to do something to improve it. Now how do you improve your credit score? Firstly, you need to be familiar with the parts of a credit score. 35% of it is dependent on your timeliness in paying bills. That’s not very hard. All you have to do is pay your bills on time. If you can’t pay a certain bill on the day of the deadline, just call them up and assure them that the money is on its way. 30% has to do with the levels of your debt. This reflects how much your debts are against the credit that’s available for you. For instance, your credit limit is $1500, and you have only purchased about $10 using your card, your credit score will be high. On the converse, if you have about five cards that are all maxed out, that means a lower score for you too. As you can see, most of your score can be fixed by simply paying bills on time and not maxing out your credit cards. Consequently, this is what you should control. 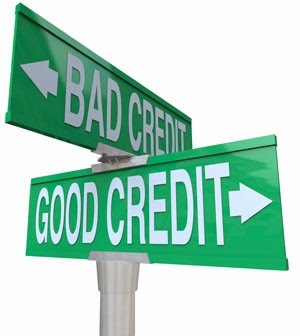 The other components, such as credit history, credit mix and applications for new credits, also have an effect, albeit less influential than the first two factors stated. Overall, the conclusion is that knowing your credit score matters, but most of the time, knowing it is meaningless unless you decide to improve it.